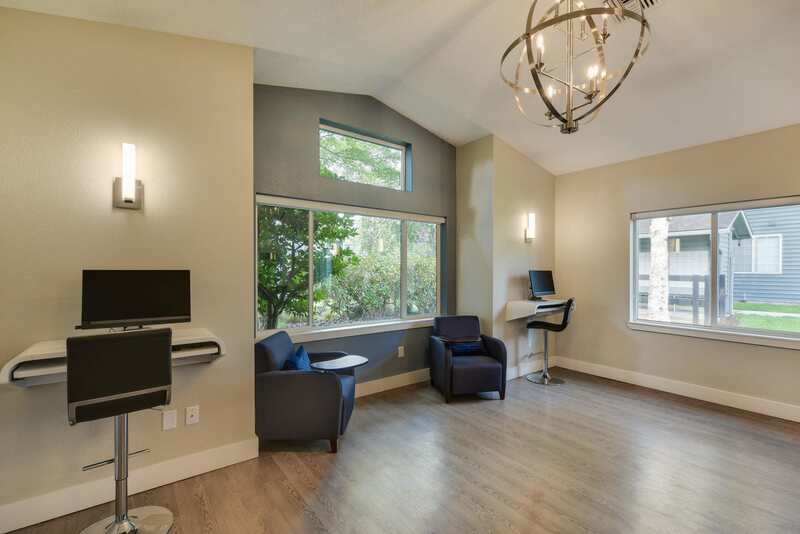 Enjoy modern, stylish amenities and thoughtful design features from the moment you step inside your new one, two, or three bedroom Vancouver apartment home. 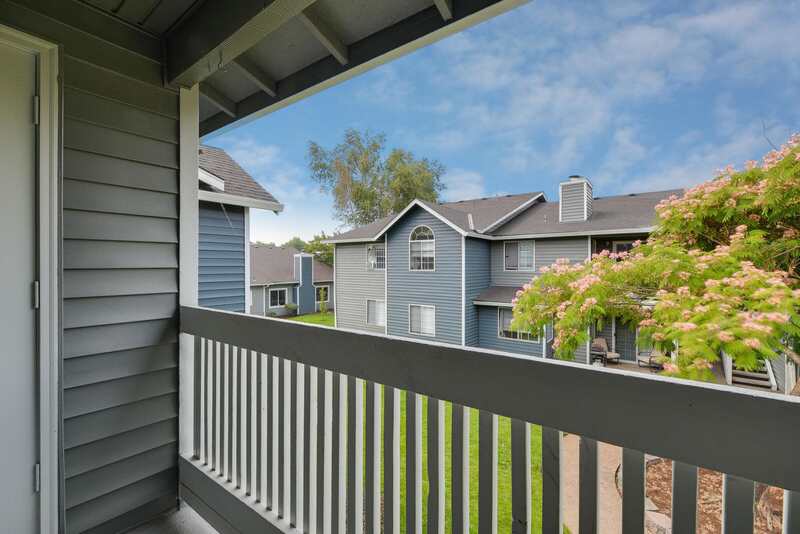 The expansive living area leads to your private balcony or patio, which is the perfect space for a small herb or vegetable garden or seating area. 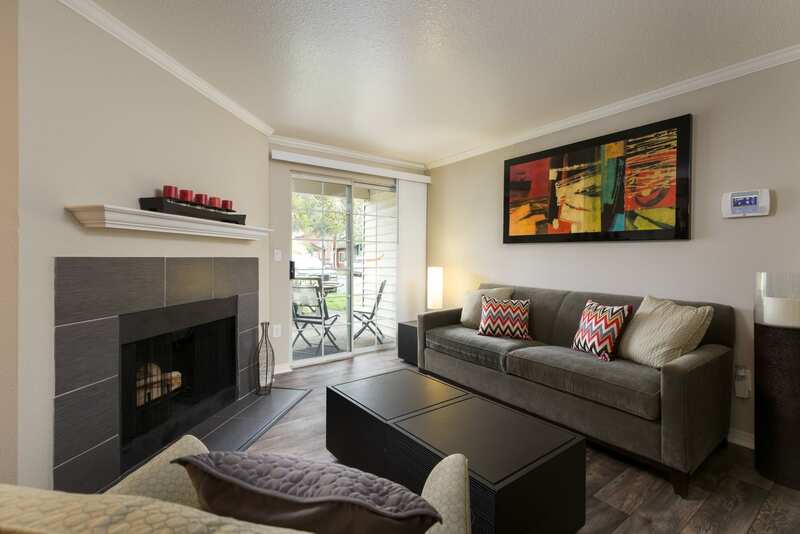 For year-round comfort, we’ve included ceiling fans and a cozy wood-burning fireplace in every home. 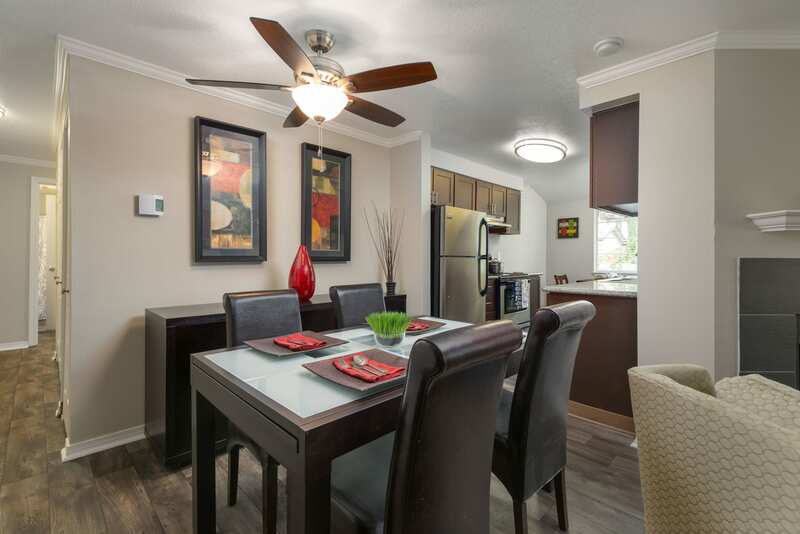 Every apartment has a separate dining area, giving you options for how to decorate and arrange your furniture. 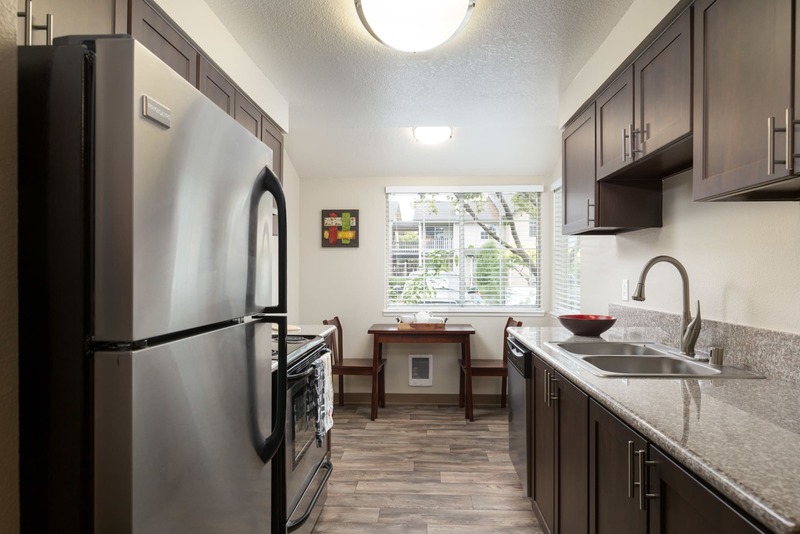 Casual cooks and aspiring chefs will love the galley-style kitchen with its stainless-steel appliances, granite-style countertops, and generous cabinet space. 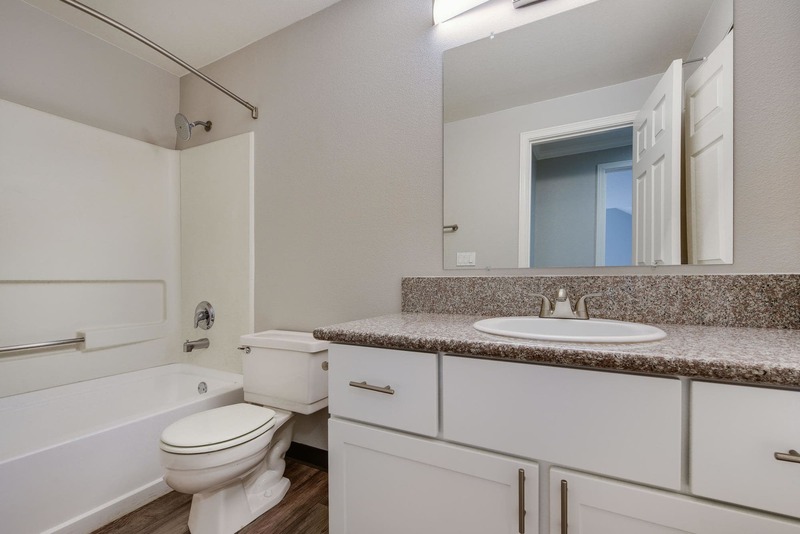 If you’re looking for more space, we recommend our two and three bedroom apartments, which include a master suite, complete with full bathroom and walk-in closet. 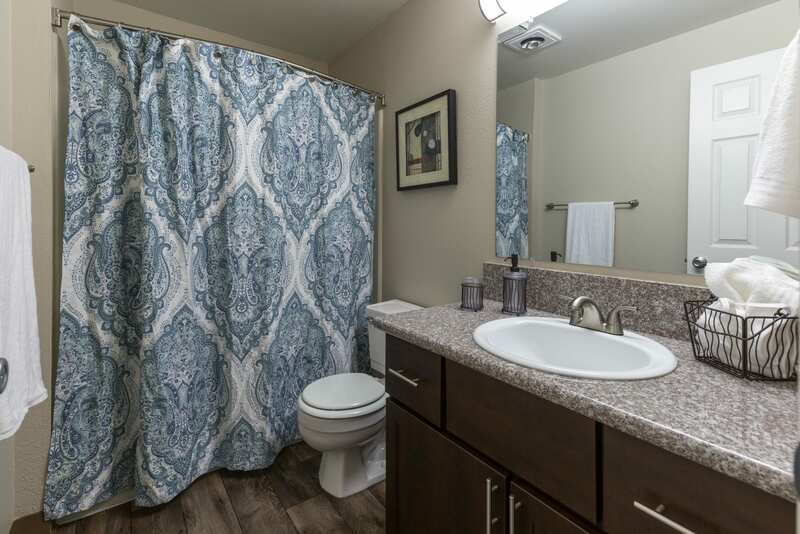 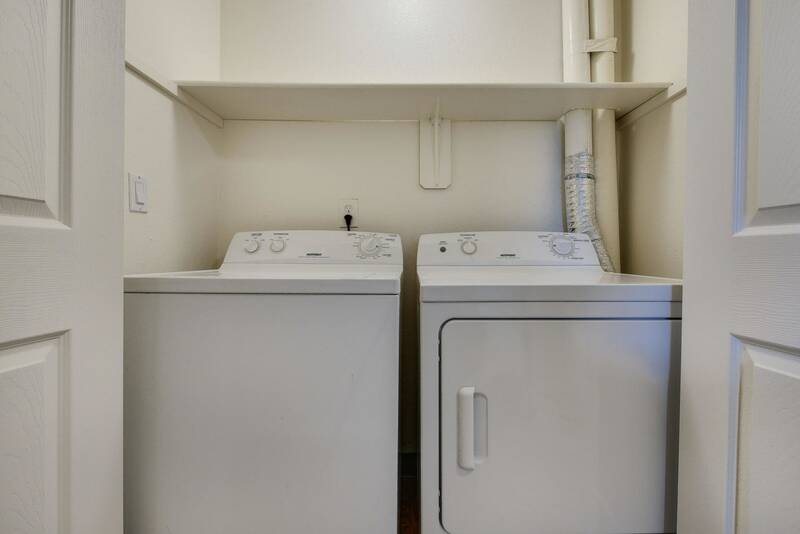 These larger units also have a bathroom off the main living area. 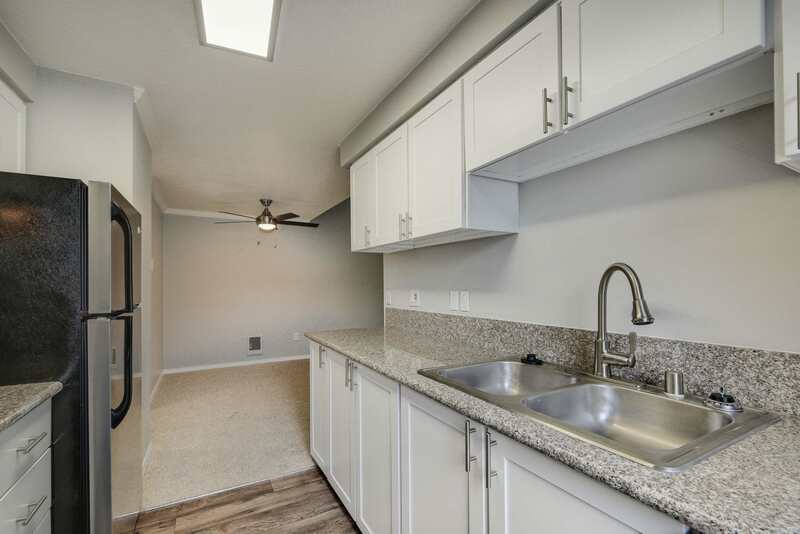 To provide you with a turnkey space ready for your furniture and belongings, we’ve included bonus amenities such as two-tone paint, soft carpeting, and window coverings. 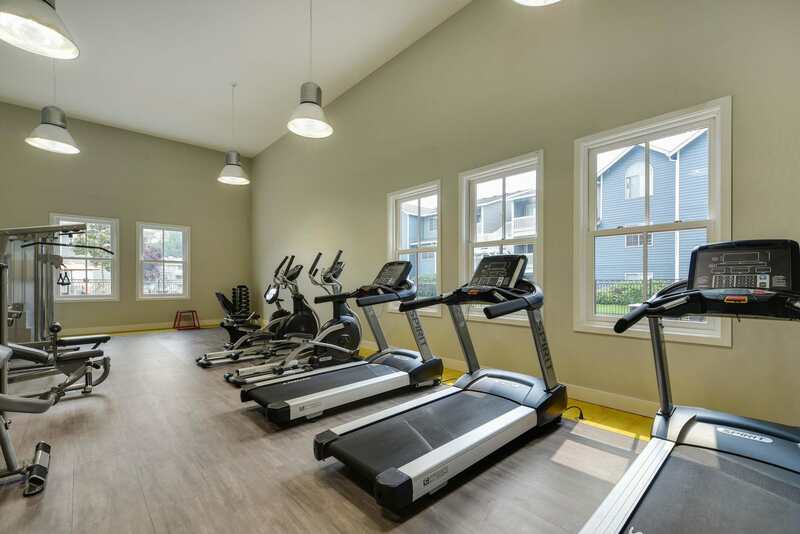 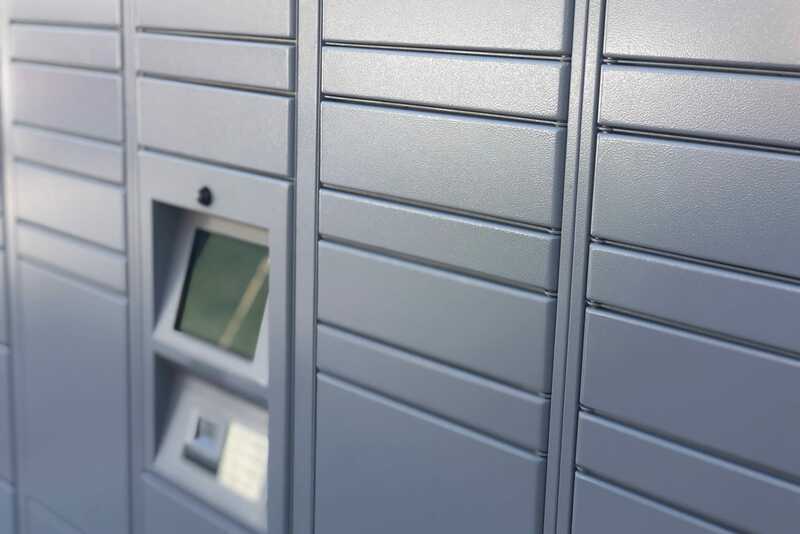 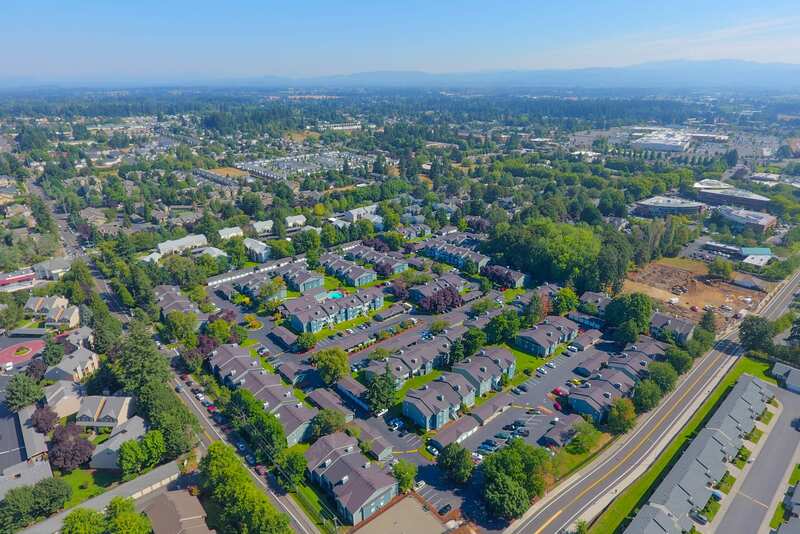 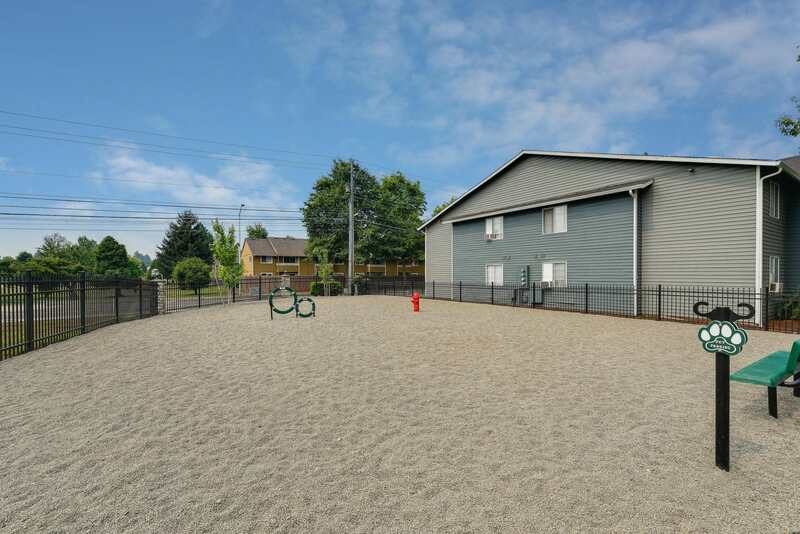 Once you’re settled into your new apartment, we hope you’ll take advantage of the abundant community amenities we provide for your enjoyment. 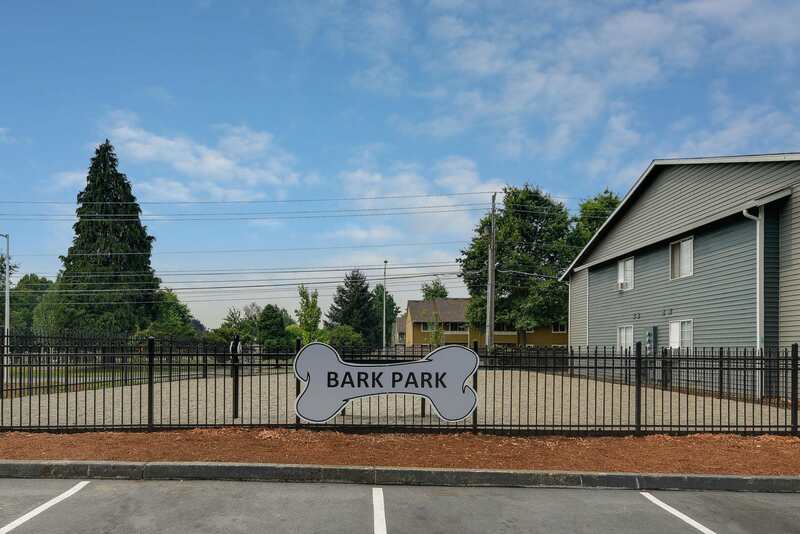 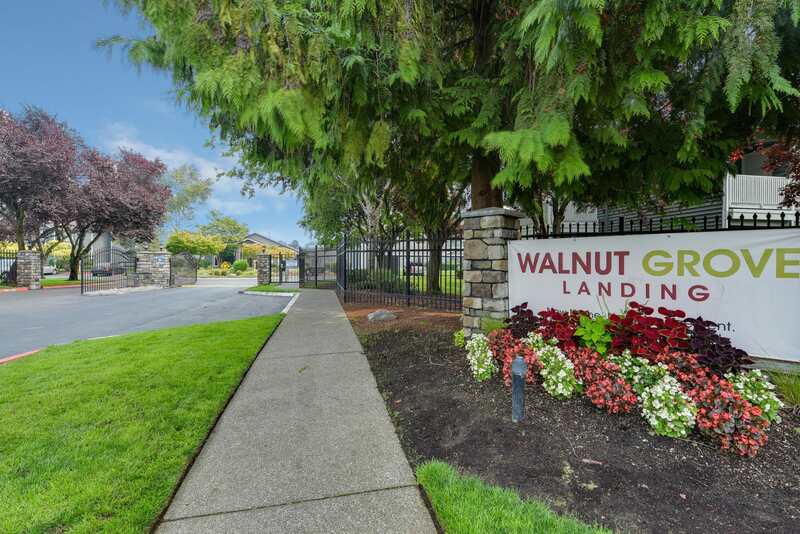 Lush, professionally landscaped grounds feature native trees and plants, walking paths, and play areas. 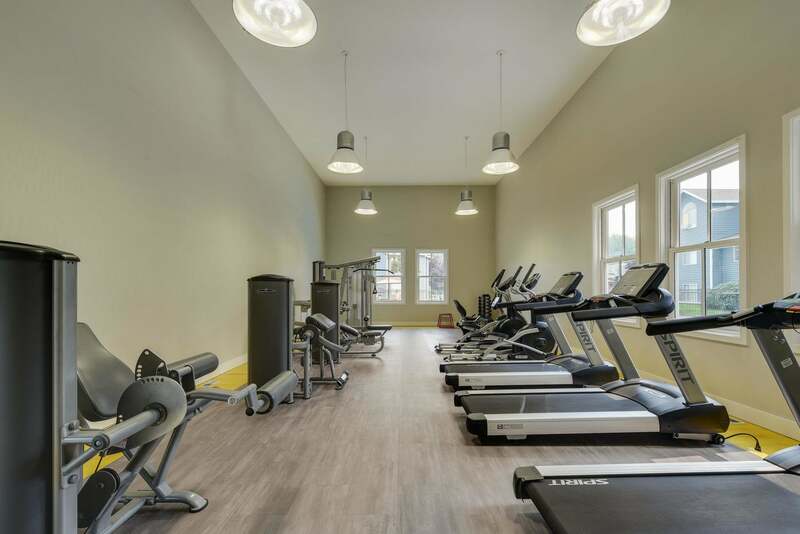 Join us in the clubhouse to work up a sweat in the state-of-the-art fitness center, complete with cardio theatre equipment and weight machines. 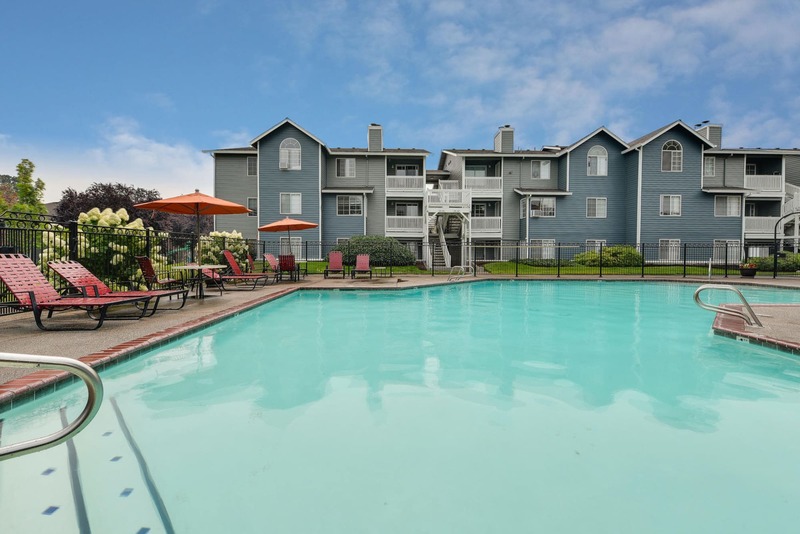 The resort-style swimming pool is large enough to swim laps and is a refreshing oasis on hot summer days. 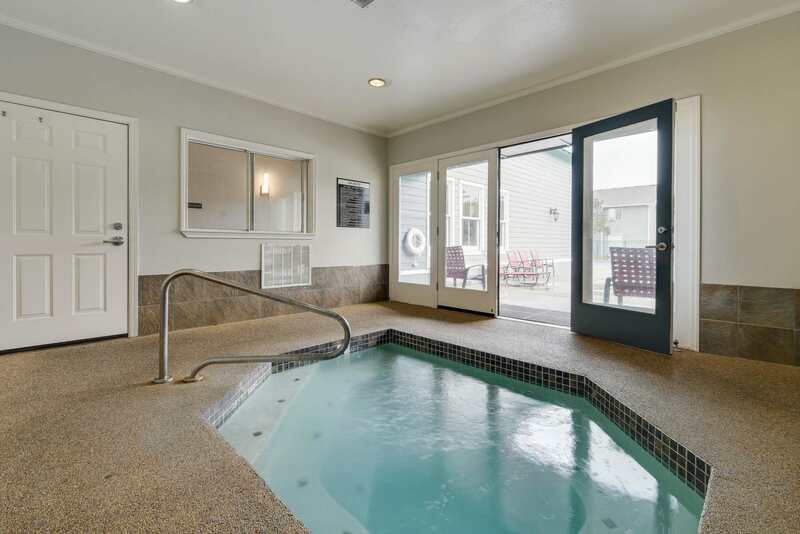 The indoor hot tub is the perfect destination when you just need to sit back and let the stress of the day melt away, any time of year. 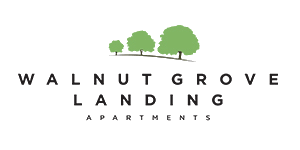 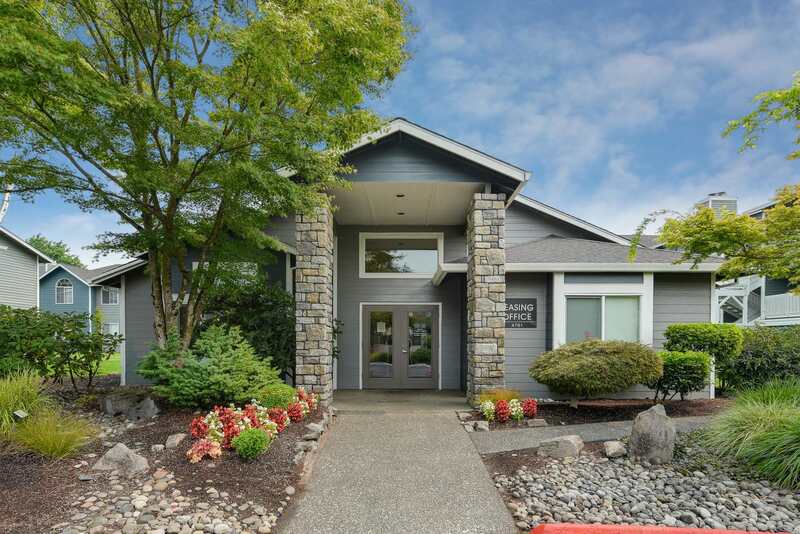 We invite you to discover Walnut Grove Landing Apartments in person. 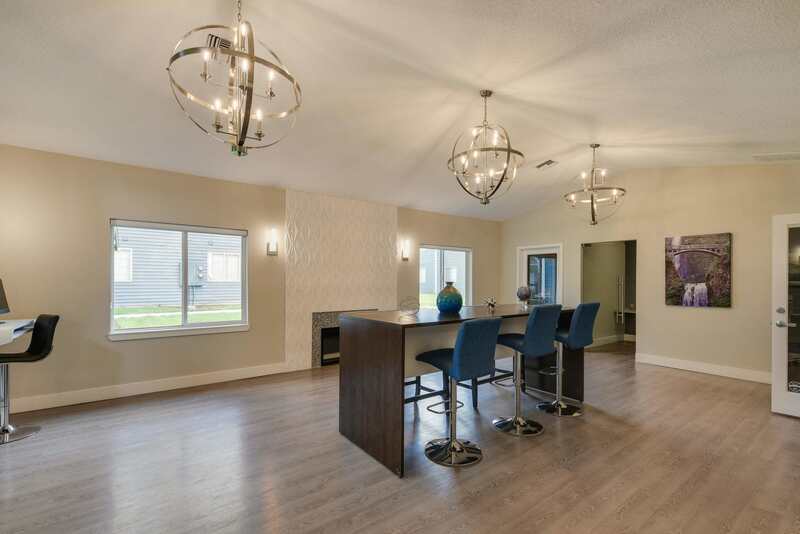 View the available floor plan models and then call us to schedule a tour.